Sexual boasting, emails, tax returns, deplorables – the second presidential debate Sunday featured insults wrapped up in put-downs. This debate was held within miles of Ferguson, Mo., but it was never mentioned. 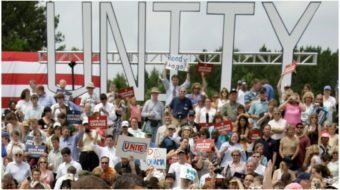 The citizens who offered questions asked about issues – health care, the Supreme Court, energy. The moderators peddled scandals and elicited insults. That’s great, but Trump has offered no plan to accomplish this. He asks us only to trust him. But someone who has fanned the flames of racial resentment in his campaign, trashed Mexicans and Muslims and insulted women is not exactly a person to gain a lot of trust. Clinton promises to be the president of all of America. And she offers real plans. She would raise the minimum wage and make college tuition free for all but the rich. She calls for a major plan to rebuild America, investing in infrastructure and schools and water systems. That will put people to work in good jobs and make our cities better. And she’s embraced Rep. James Clyburn’s 10-20-30 pledge to invest 10 percent of federal contracting in communities comprising 20 percent of the nation’s population that have been below the poverty line for 30 years. That would help both white, rural communities and urban ghettos and barrios. Clinton isn’t just saying trust me; she’s laying out plans that could make a difference. But what the debate made clear is how important it is for the people to set the agenda after the election. Voting is vital but not sufficient. What we do can change the national agenda and force action. When Dwight D. Eisenhower was elected president, he did not have any thought about using federal troops to desegregate schools in Little Rock. The movement forced that on his agenda. John F. Kennedy had no commitment to ending segregation of public accommodations; the civil rights movement forced that onto his agenda. Lyndon Johnson thought continuing the war in Vietnam would protect him politically. The anti-war movement changed that calculation. Today, Black Lives Matter has forced criminal justice reform onto the agenda of both parties. The Fight for $15 has pushed minimum wage hikes in cities across the country. 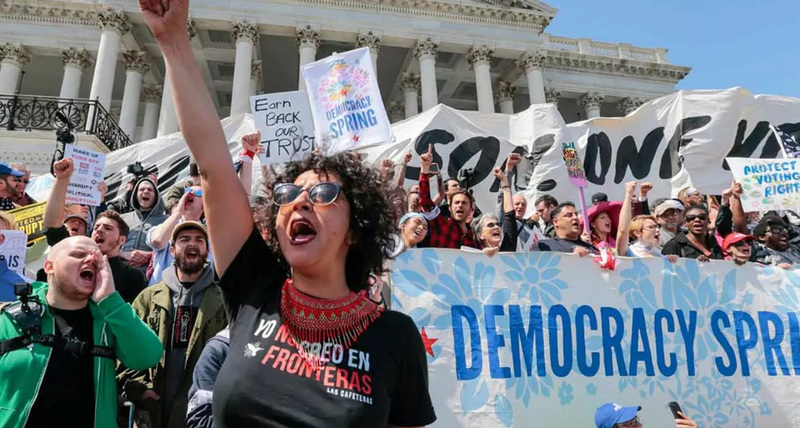 Immigration reform is part of Clinton’s first 100-day plan because citizen movements have forced it there. The next president will make fateful decisions about war in the Middle East; about how to get the economy moving; about Supreme Court nominees; about getting health care costs under control; about climate change; about growing, unsustainable, and extreme inequality; about reviving the Voting Rights Act. We can’t afford to leave these choices to the next president, no matter who is elected. We can’t let a Congress corrupted by big money and entrenched lobbies set the agenda. Citizens in motion must force the vital and the just onto the next president’s and the next Congress’ agenda. We will decide by what we do, or by what we decide not to do. One thing is clear from the debate Sunday night: It is time to organize. Rev. 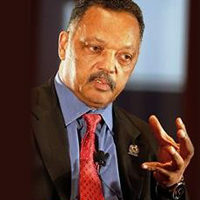 Jesse Jackson is the founder and president of the Rainbow PUSH Coalition. He was a leader in the civil rights movement alongside Dr. Martin Luther King, Jr. and was twice a candidate for President of the United States. This article appears here courtesy of Rainbow PUSH.